This is a true flashback to one of the first posts I ever wrote. It was terribly photographed and formatted but the knowledge is handy so I thought it was worth repeating. 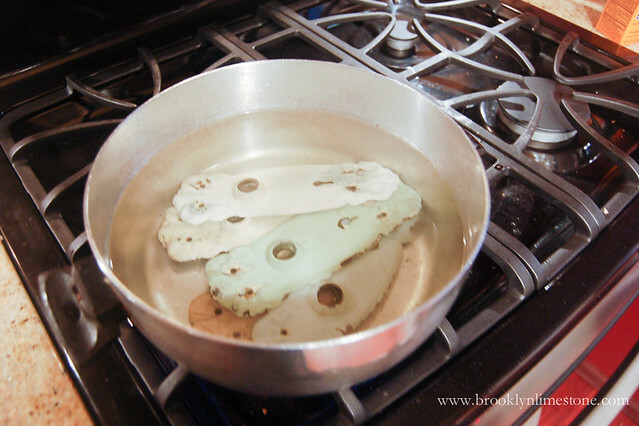 Quite simply, you can boil the paint right off old hardware. 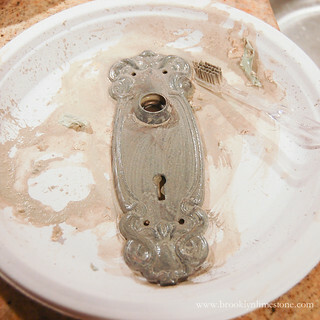 One of the favorite things about my house is the hardware and it was very much buried under a hundred years of paint but I was able to clean it all in one evening using this technique. 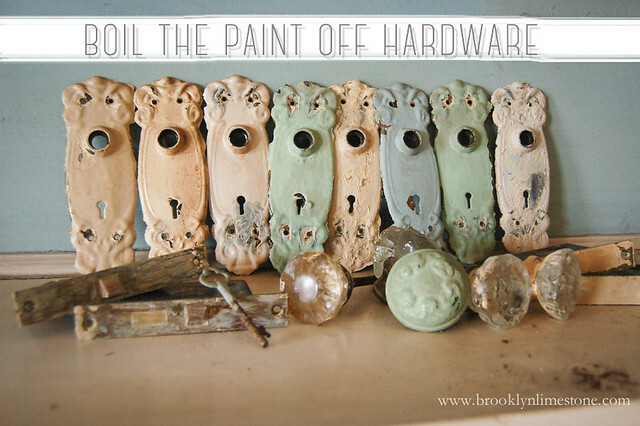 Hope this is helpful for anyone in the throws of their own crazy renovation or maybe just struggling to get some old paint off furniture hardware handles. Either way - know you know! This is such a great technique. 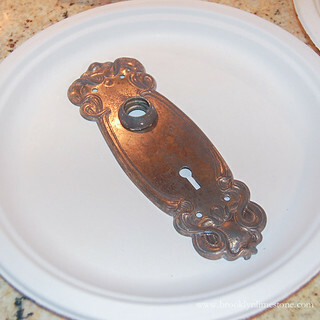 I first saw Nicole Curtis do sonething similar, using a crock pot purchased at a thrift store or yard sale. It couldn't be easier! 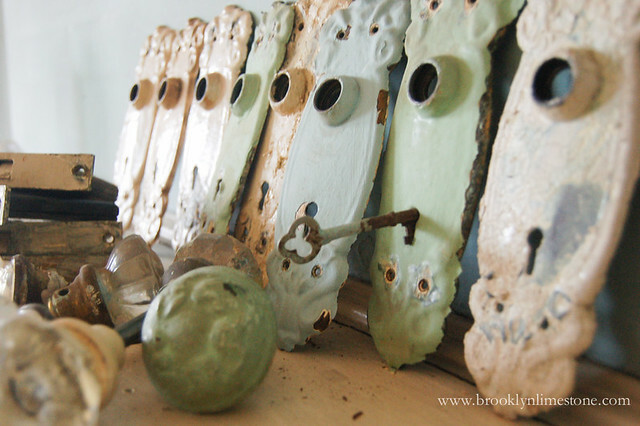 I did this a few years ago with all of the door hinges in my house and it truly works! Took a bit of time, but saved me a good chunk of money.